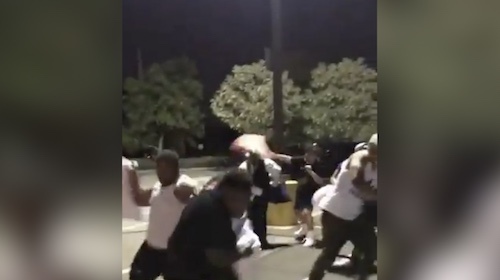 This video of two groups fighting with each other has gone viral mainly because they are fighting with pillows. It is extremely funny to see a group of huge men who instead of fighting the traditional way choose to fight in a way that would cause the least amount of damage. If everyone started to fight this way, nobody would ever have to worry about a broken nose or a sore hand.As they say, better safe than sorry.